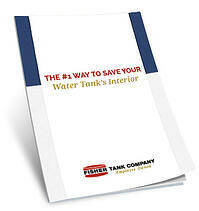 Corrosion can ruin the water in your storage tank, resulting in significant downtime and the costs associated with it. A KUR could avoid damage and save you money. A KUR is a Knuckle Umbrella Roof – a roof solution for AWWA D-100 welded steel water storage tanks. Compared to other roof options, KURs have fewer corrosion points and more effectively protect the tank’s interior. Simply fill out the form at right to get your copy today!